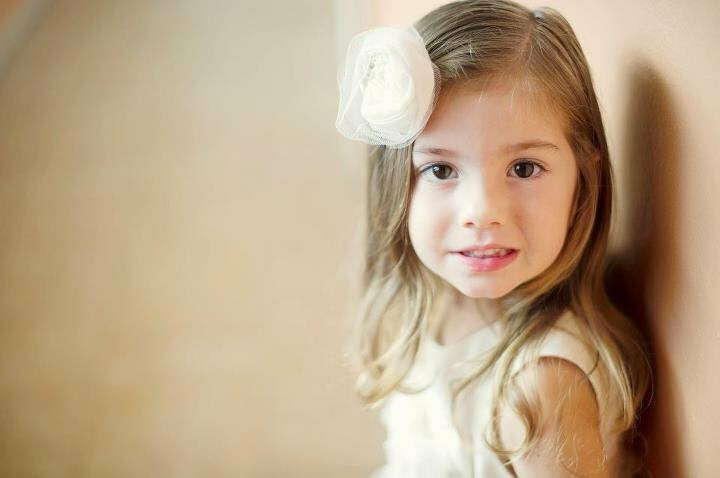 When you’re searching for rustic flower girl dresses for weddings, it can be hard to know exactly where to start — and how to find them at a reasonable price. 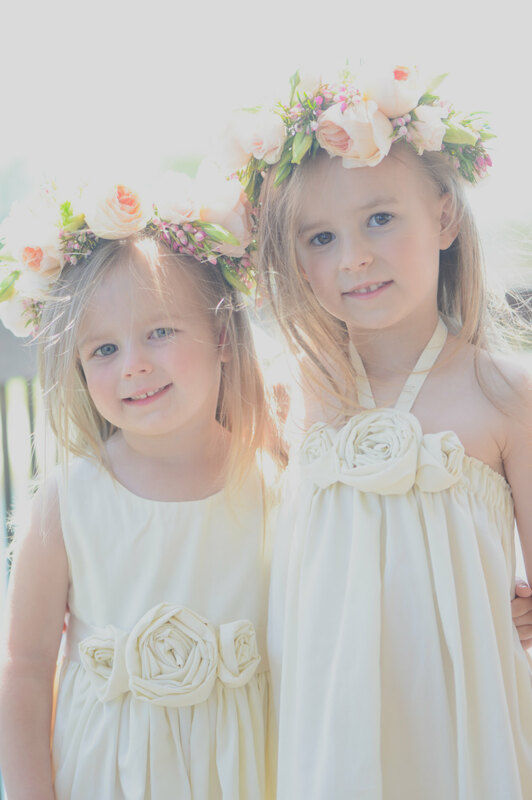 If you’re looking for rustic flower girl dresses for a country wedding, an outdoor spring or summer garden wedding, or vintage style dresses for your flower girl, we’ve found a great place to buy them. 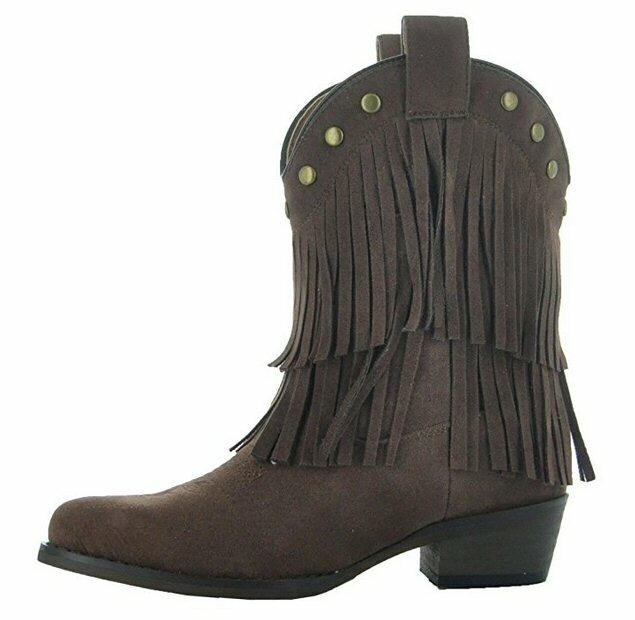 We even found cute flower girl boots to go with them! 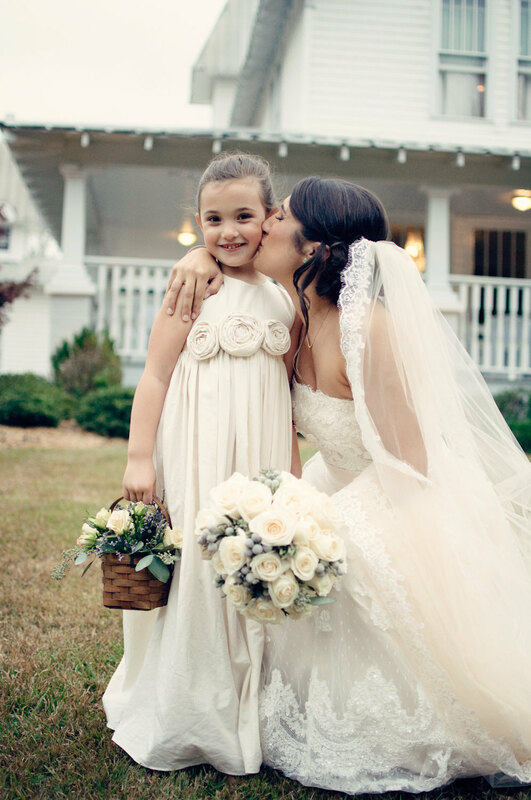 Today we’ll introduce you to flower girl designer Beth of Olive and Fern and show you our top picks for rustic flower girl dresses from her shop. 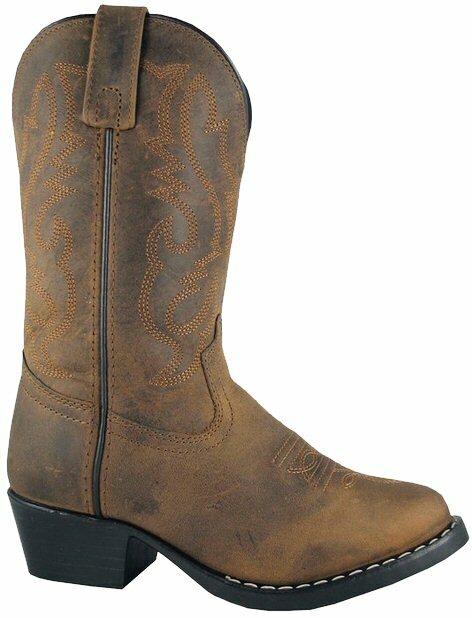 We’ll also share two adorable pairs of western / cowgirl flower girl boots she’ll love to pair with it. :) Enjoy! 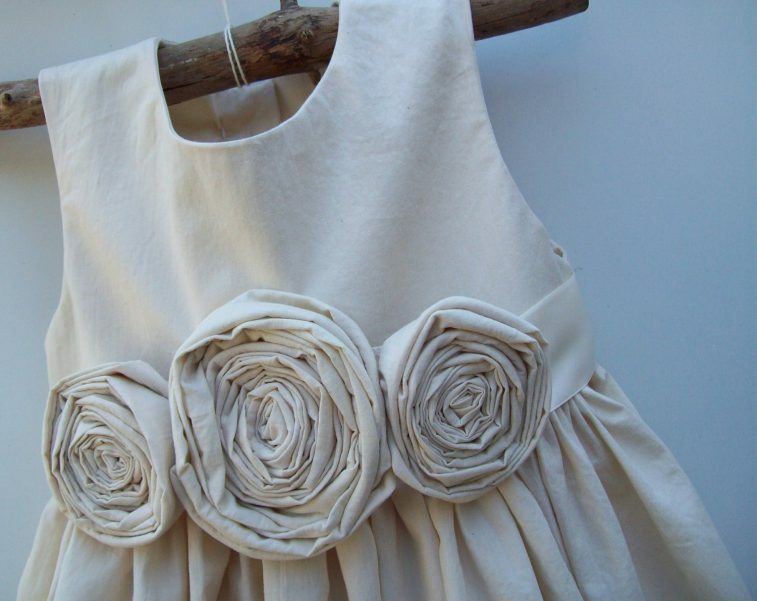 You’ll know immediately when you’ve found an Olive and Fern signature dress: you’ll notice the beautiful handiwork, handmade rosette flowers on the front, and the eco-friendly organic cotton material, which makes for an ultra-comfy fit. 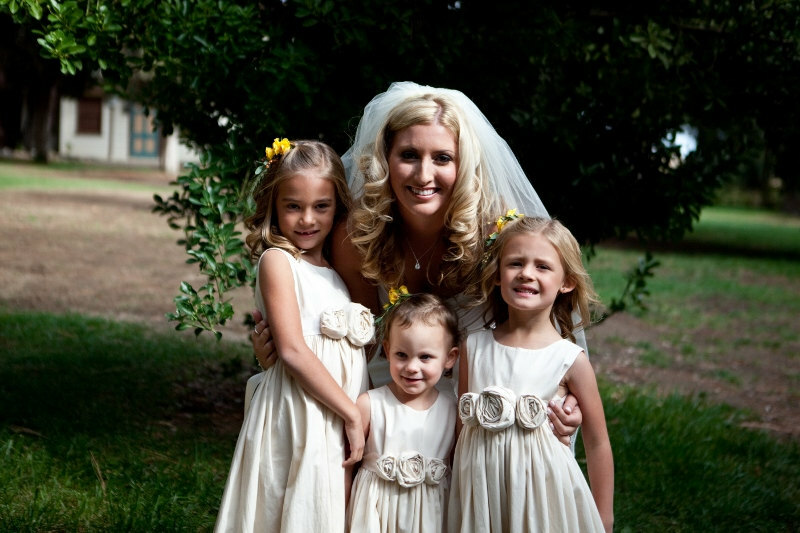 Beth of Olive and Fern has perfected the art of the flower girl dress since 2009 and has been creating beautiful dresses ever since. Based in Minnesota (but shipping everywhere), Beth does everything herself with two hands and a sewing machine. 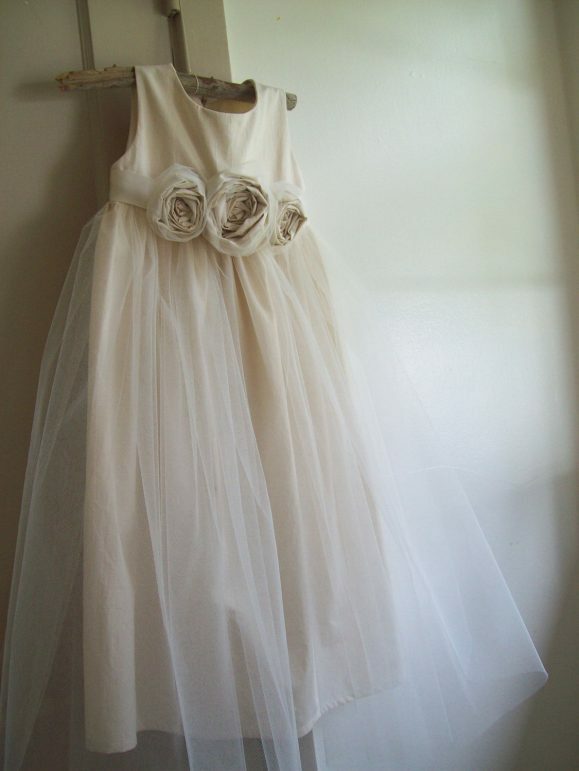 Each dress is imagined, sketched out free-hand and pieced together by herself. Once the dress is created, she gives it a name and begins cutting patterns. 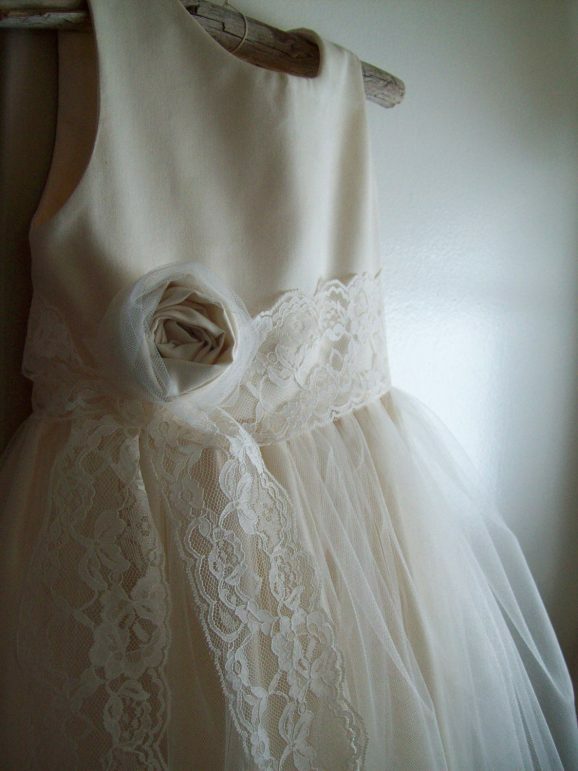 She uses a soft lightweight natural undyed cotton. 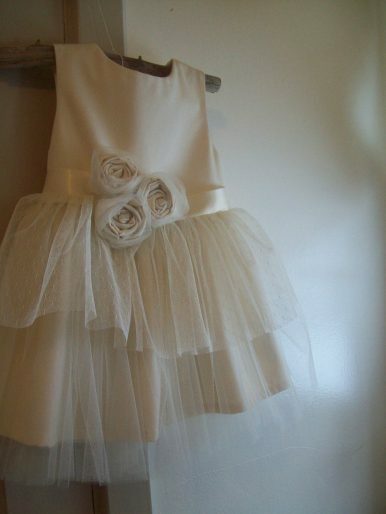 The skirt has plenty of volume for twirls and dancing, two must-haves for every flower girl. 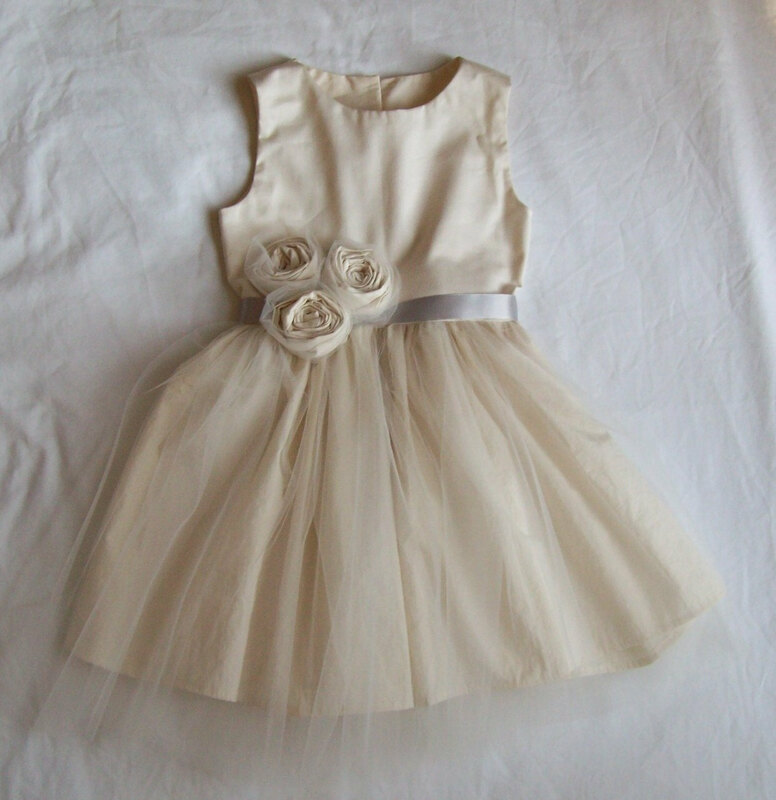 After the big day, the flower girl can wear her special dress for occasions or even to dress up for playtime. 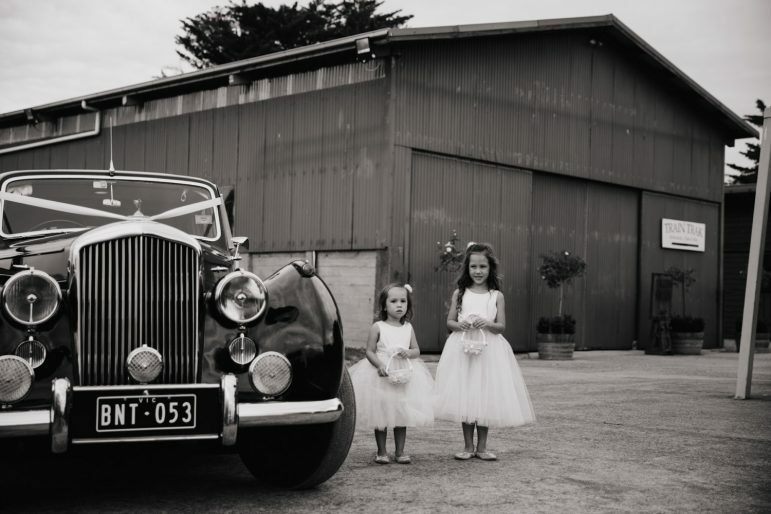 Aren’t these dresses so beautiful? Don’t forget the matching puff for her hair! 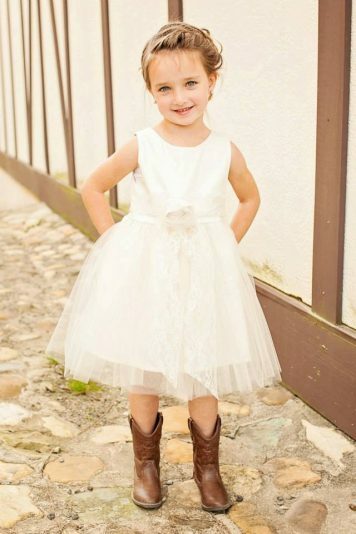 For flower girl boots, here are two cute pairs she’ll love! 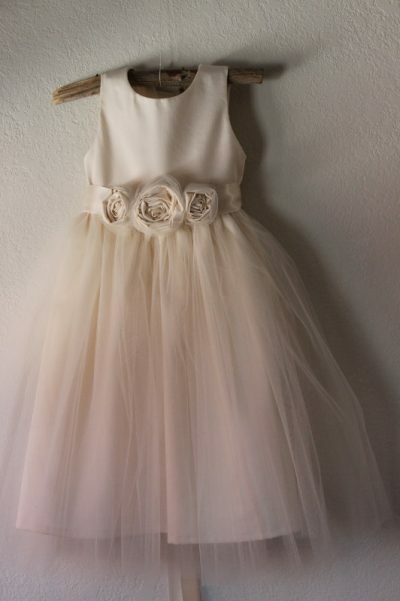 To find out more about these flower girl dresses or to buy yours, visit Olive and Fern, Featured Artist in The Marketplace.